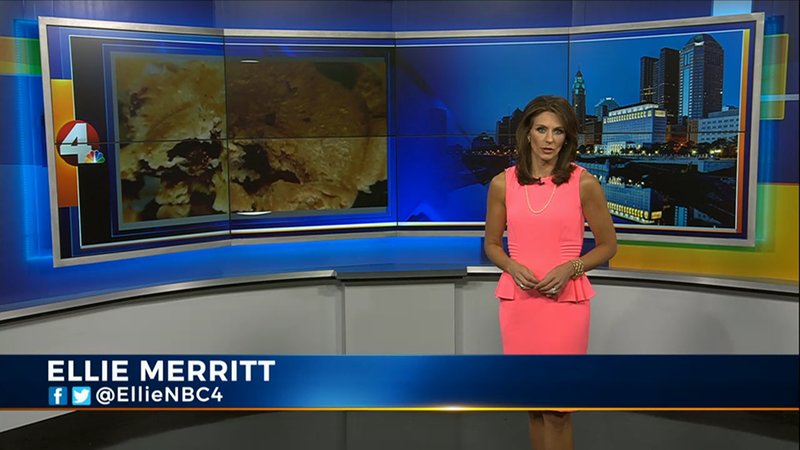 Columbus’ NBC affiliate, WCMH-TV, has rolled out a souped up version of its set. Both the new additions and original set are from FX Design Group and the changes center on new technology and a smaller anchor desk. In many ways, the changes go beyond a simple “refresh” and are a great example of how the flexibility of video walls and just a few structural changes can make a big impact. 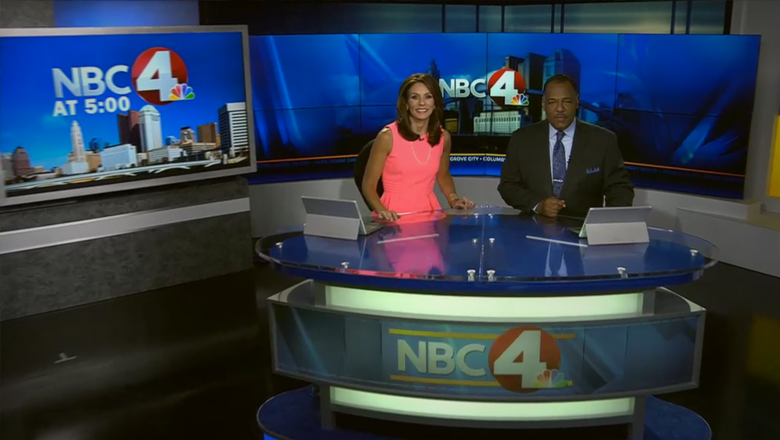 The station traded its L-shaped anchor desk for a smaller, more compact design that places talent closer together for better interaction shots. The studio was also updated with a slew of additional video panels, much of which replace the the printed backgrounds. 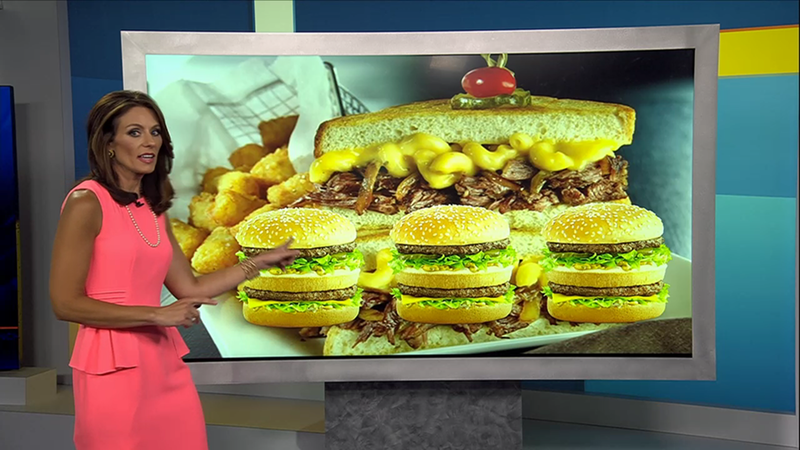 In addition, talent now have upgraded touchscreens to interact with for storytelling purposes, such as this story about calorie counts that allowed the anchor to trigger the hamburgers to appear. The station is also relying more on storytelling graphics in its standup area, which is outfitted with a large video array that’s often used to show a branded “frame” that allows topical footage or maps to be dropped in quickly.